When Donald M. Johnson retired from West Valley College in 2000, the faculty, staff and administration elected to rename the Native American Scholarship in his honor. Don Johnson, born in South Dakota, is an enrolled member of the Standing Rock Lakota tribe. Although Don’s heritage also includes Scandanavian and French cultures, his heart has always been Lakota. Don was the faculty member who worked to bring the Powwow to West Valley, along with two students Roslyn Willey and Carol Vasquez. 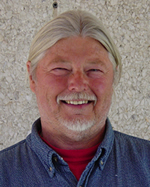 Don also served as the faculty advisor and mentor for the intertribal council. He taught general psychology, physiological psychology, and the psychology of addiction and substance abuse during his career from 1965-2000. Toward the end of his career, Don developed and taught a specialized course in general psychology from a Native American perspective, much to the delight of the faculty and students. In fact, the students in Don’s final Native American psychology course were so moved by his teaching that they brought him a young juniper tree to honor him. The tree was covered with paper feathers with the students’ handwritten messages of gratitude to Don for his warmth, humility, and generosity of time. The tree is growing strongly by the social sciences building where Don inspired students for so many years. Don Johnson is one of those rare individuals who has the ability to inspire others to reach for their dreams while he himself remains humble	regarding his contributions to his students’ success. Don has served on the Board of Directors for the American Indian Library and served two terms on the Four Winds Lodge Board of Directors. After retiring from teaching in 2000, he has been active on the Board of Directors of the Indian Health Center, raising Australian Cattle dogs, and managing his wildlife preserve in the Sweetwater Mountains by the California-Nevada border.